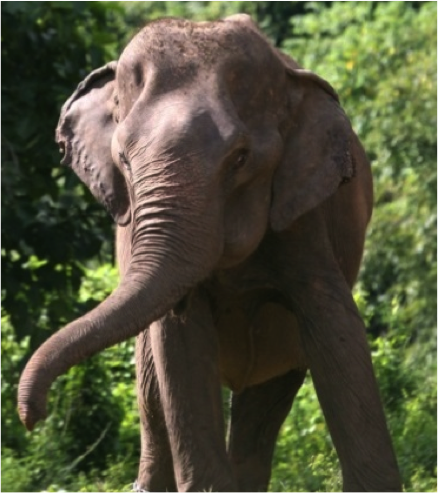 Lam Duan came from Koh Samui and arrived at ElephantsWorld on July 22th 2012, after a long car journey of 14 hours. The previous owners, Komkrit Thongpat, Theerasak Thongpat and A-rat Kwamkaeo, had Lam Duan for over 30 years. The first 20 years she worked in logging but when the use of elephants for logging was banned by the Thai government she was used for tourist trekking for 10 years. After these 30 years of hard work her owners decided that they wanted her to retire and give her a better life so they donated her to ElephantsWorld. The owners came to bring Lam Duan to ElephantsWorld by themselves. Lam Duan is a blind elephant. She was already blind when the previous owners bought her. We believe shewas born around 1956, but nobody really knows. 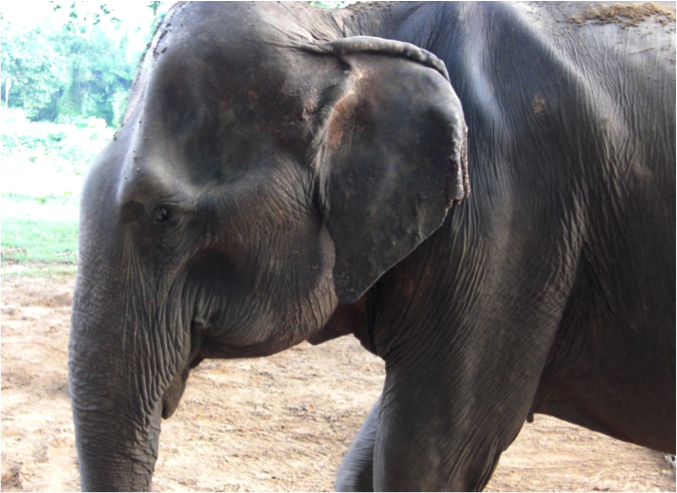 Lam Duanis the only elephant with a female mahout at ElephantsWorld. Her mahout, Nasuyo, takes special care of her and Lam Duan responds really well to the female companionship. She found out, that Lam Duan loves music and since then she is singing for her every day.